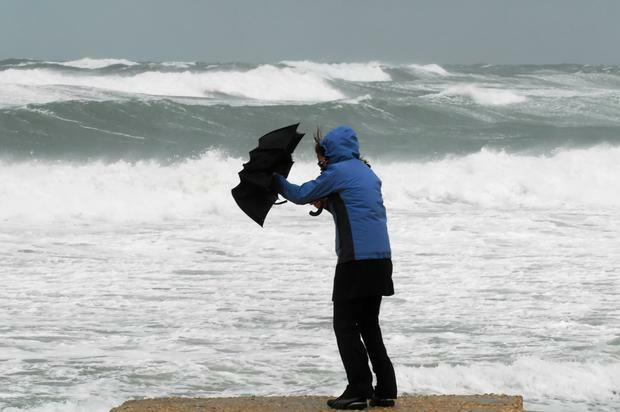 MET Éireann has issued three weather warnings as heavy rain and winds are to hit parts of the country this weekend. A Status Orange rainfall warning has been issued for Cork and Waterford and will remain in place for the next 48 hours. The national forecaster has issued a Status Yellow rainfall warning for Connacht, Kilkenny, Clare, Kerry, Limerick and Tipperary. Spot flooding is expected and motorists are being urged to take care as the significant rainfall will make driving conditions dangerous. A Status Yellow wind warning has been issued for Donegal, Galway, Mayo and Kerry also. It will remain in place until 3am on Sunday morning. "In the 48-hour period from Saturday evening to Monday evening, a spell of heavy rain through Saturday night and Sunday followed by a second spell of heavy rain later on Sunday night and Monday will give large rainfall amounts," Met Éireann said. Most of Leinster and Ulster will remain dry tonight. Forecaster Gerry Murphy said there will be some respite from the rain for a time tomorrow but heavy rain will affect Munster and parts of southern Leinster in the evening.